Kingsley Gregory, a fellow of the RGS since 1959, died at St Christopher’s Hospice in Sydenham, South London on 9 August, 2014, from cancer. 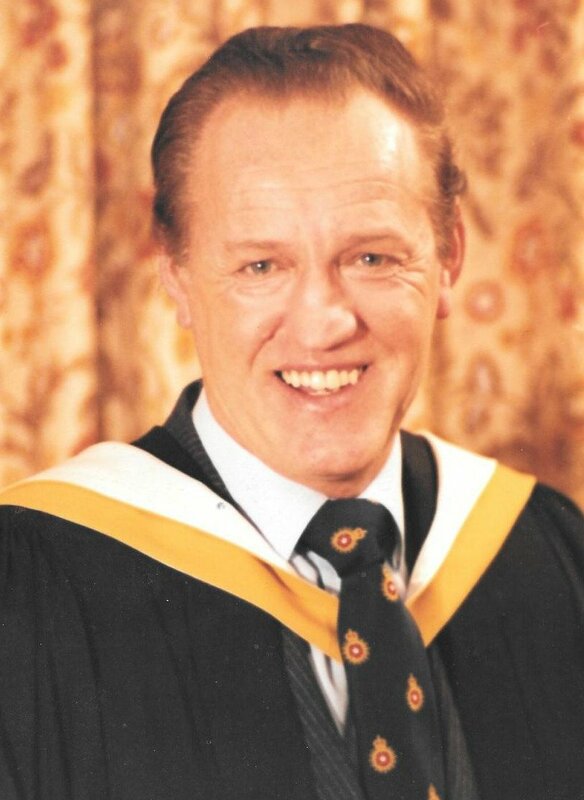 A life-long enthusiast of geographical and geological studies, particularly earth surface processes, Kingsley fired the interests of many young students in these subjects throughout a successful career as a secondary school teacher. During the latter part of his career, he fulfilled an ambition to undertake (part-time) postgraduate study, earning an MSc degree in Quaternary Studies in 1982 and an MPhil specialising in glacial erosion features in Snowdonia in 1993, the results of which were published. Kingsley graduated from Birkbeck College in 1963 with a BA degree in Geography and Geology. After a spell teaching at Quernmore School in Bromley, he moved to Purley Grammar School, Surrey in 1966 to teach geography, where he was also responsible for introducing studies for ‘0’ and ‘A’ Level grade geology into the school curriculum. He became Head of the Geography Department at the new Purley High School for Boys where he remained until 1989. He ran more than 25 residential field study courses based at the Bens field centre in Nant Peris, which included driving the school’s 49-seater coaches through the narrow, winding passes of North Wales. His contribution to the life of the school led many students to discover and nurture a fascination for geographical and geological enquiry. More about Kingsley’s life at Purley High School can be found on the alumni website, at www.fasetpatria.com. For his individual research work during the early 1960s, Kingsley was proposed by Professor Cons of Goldsmiths for a Fellowship of the Royal Geographical Society which, from the moment it was bestowed, he considered a singular honour. He wore the letters FRGS with immense pride. Fired by his interests in glacial landscapes, in 1980 Kingsley enrolled for postgraduate study in a newly-established taught MSc degree in Quaternary Studies, the first of its kind in the UK, taught jointly by the City of London Polytechnic and the Polytechnic of North London. This degree programme was directed at the time by Professor John Lowe (now at Royal Holloway, University of London), with whom Kingsley has since maintained scientific collaboration and a lasting friendship. Building on his field experience in North Wales, Kingsley based his 1982 MSc thesis on Glacial Transfluence in Central Snowdonia, North Wales, part of which was published in 1983 as an article in the Quaternary Research Association’s Quaternary Newsletter (entitled ‘The use of small-scale glacial erosion features to derive inferences on glacial dynamics and direction of glacier movement’). Now well-and-truly hooked, Kingsley next registered for a PhD programme of study, to extend and develop the line of work he had commenced in North Wales. Sadly, this had to be abandoned, but not before Kingsley had amassed a prodigious amount of new field data, which broke new ground in the study of small-scale glacial erosion features. The results were compiled in a 420-page thesis, entitled ‘Bedrock Microforms of Glacial Erosion and their Interpretation with respect to site factors and glacial dynamics’, for which he was awarded an MPhil degree in 1993, and which one of his examiners is reported to have described as “one of the finest theses he have ever seen”. Some of these results were published in the journal Quaternary Studies (vol. 2) in 1986, a fore-runner to what is now the Journal of Quaternary Science. His interest in Quaternary science never subsided: until around two years ago, Kingsley was a regular attendee at the annual London Quaternary Lectures held at Royal Holloway, and at other occasional scientific meetings, and he maintained his membership of the Quaternary Research Association until death. Saddened to learn the news of his death, John Lowe recalls Kingsley’s boundless enthusiasm: “He never did anything by half: whether it be teaching, learning, research, or discussion, Kingsley immersed himself fully, not wanting to miss a trick, or an opportunity.” Kingsley’s business card proudly proclaimed him to be a ‘Geologist: Specialist in Quaternary Science and Glacial Geomorphology’. Away from academic circles, rocks and students, Kingsley was every bit a family man and a devout Christian, with strong values. He is survived by his wife, Barbara, two children, Mary and John and six grandchildren, He was always incredibly proud of each and every one of them.